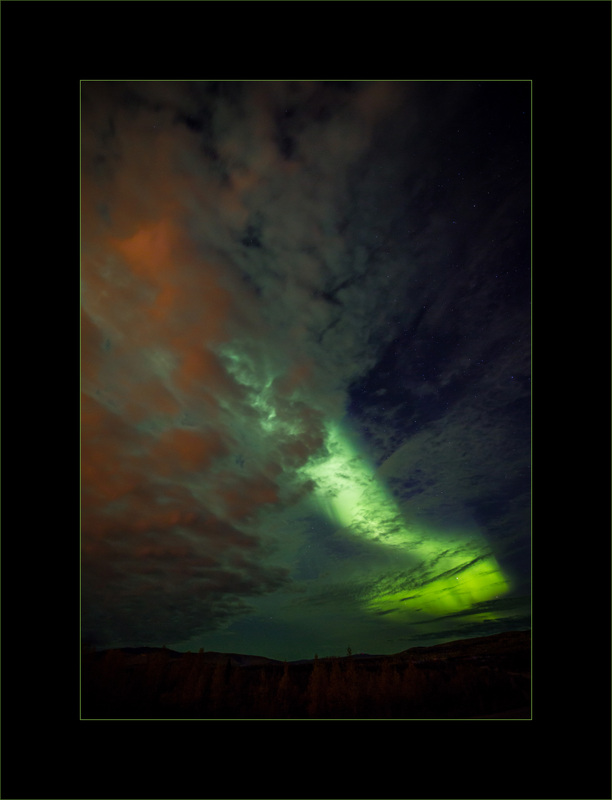 This wasn’t the best aurora I saw in Alaska but it was definitely the weirdest. A cloud cover started to roll in and took on a red cast from the reflected lights of the city. It gave the scene a surreal post-apocalyptic feeling, but still quite beautiful. All Photographs © 2015 John Grusd Fine Art Photography. All rights reserved.